Sunday kicked off with The Mandalorian panel, which I saw from the live stream stage. Unfortunately they cut us off at the end, so we missed out on the extended scene they showed and the sizzle reel. 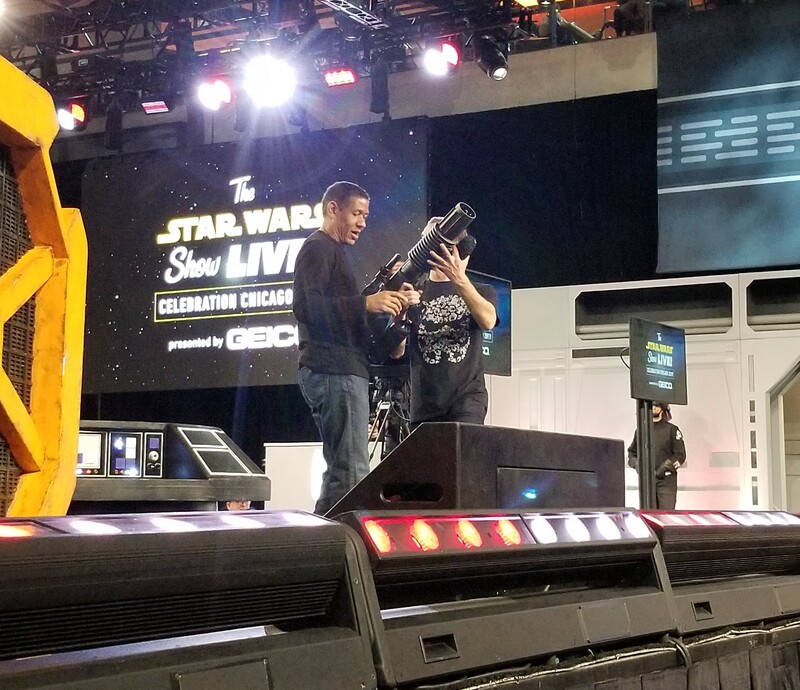 We did get to see the behind the scenes video that was shown earlier in the panel. However, I knew the actors would eventually be hitting the live stream stage at some point, and I got lucky as I was there when it happened. Pedro, Gina and Carl all came out, talked a little about the show without giving away anything, and took turns firing the t-shirt canon. 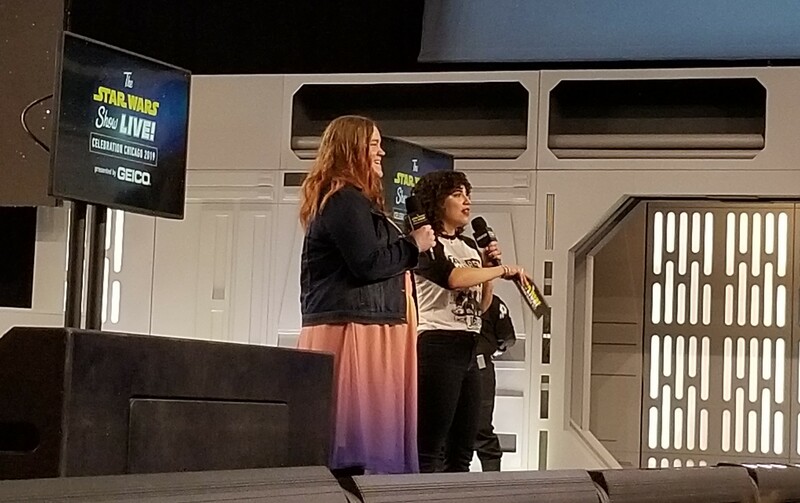 I was also able to see Scott Lawrence (Jarek Yeager in Star Wars Resistance), Bobby Moynihan (Orka in Star Wars Resistance), Donald Faison (Hype Fazon in Star Wars Resistance), author E. K. Johnston. If you didn’t mind standing all day, the live stream stage was a good spot. Aside from the live stream stage, I also went to the Coffee With Kenobi podcast panel which included guests James Arnold Taylor (Obi-Wan in Star Wars: The Clone Wars) and Catherine Taber (Padme in Star Wars: The Clone Wars). As always, they put on a good show. Another one I went to was the Shipping panel which went over the origin of shipping, it’s rise to notoriety, and the ever popular ships for the Star Wars sequel trilogy. This one was hosted by the hosts for the Lords of the Sith Podcast, which is why I went as I’m big fans of their show. It was a good panel. I’m not even a shipper and I liked it. Afterwards I went to the Rogue Podron panel…because they called me a coward. Just an FYI, you don’t have to call me a coward to get me to attend your podcast panel or review your podcast. Regardless, it was a fun panel with one of the oddest subjects I’ve heard discussed – bones. They invented a fictional bone market for the Caretakers on Ahch-To and talked about how they could have an economy based on this. It was silly and fun. From there, they asked the audience what bone they would buy, and I made sure to raise my hand and participate. If you’re going to get a bone from Star Wars, a Rancor skull seemed like a good way to go. 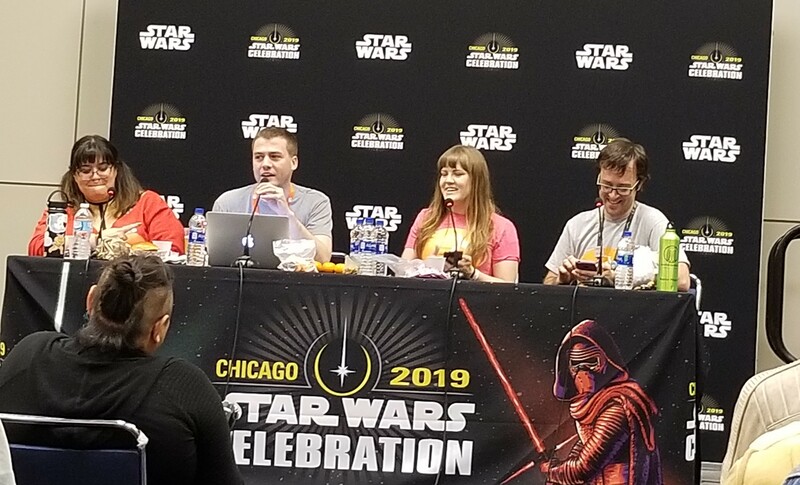 I finished the day off with the Star Wars Bookworms podcast panel which also included guests Bria and E. K. Johnston and lots of book giveaways. As a big fan of the Star Wars books, this was a good panel to end the day on as they talked with Johnston about her Queen’s Shadow novel.